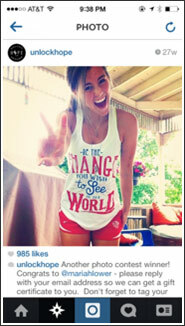 Pictures can say a thousand words and can even make you thousands of dollars when you use Instagram right. Photos can inspire, motivate, draw people to your brand and be a powerful part of your marketing strategy. Yet, it can feel intimidating when you are not a professional photographer. How can you make your Instagram photos stand out? Here are a few tips to help you make your pictures pop! You don’t have to be a professional photographer to create great photos. 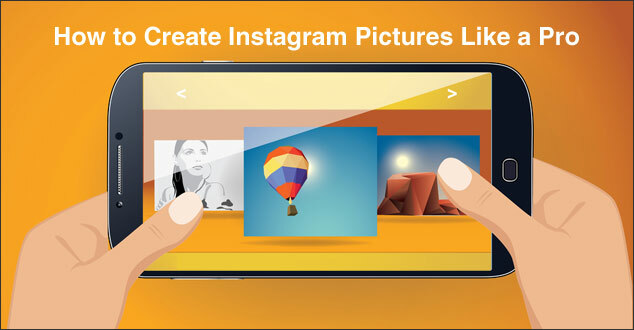 In fact, many people simply use their smart phones to create the photos they post on Instagram. So what are those people doing that create such stunning shots? They have great lighting. When taking photos lighting can be one the most important parts of the entire picture. You want bright and as natural lighting as possible. Want to know a great photography technique? It is called the Rule of Thirds. One of the easiest ways to enhance and balance your photos out is by knowing this simple, but extremely helpful photography composition technique. The way the rule of thirds works is you divide the photo into two horizontal lines and two vertical lines creating nine different grids. The key is to place the focal point of your photo on the lines or better yet, the intersection of the lines. The best part is that Instagram has this immediately set up for you when you click on your photo. Photography Mad’s article called, Rule of Three, says that the “idea is that an off-center composition is more pleasing to the eye and looks more natural than one where the subject is placed right in the middle of the frame.” You don’t have to be a professional photographer, but knowing this simple technique can completely change the impact your photos can have. The best and most successful brands are those that create photos that have a related look and feel throughout their profile. Find what will work right for your brand and highlight the message what you want to communicate. 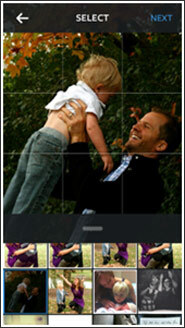 Use the same boarder every time, or similar filters on your photos or similar backgrounds. This technique can help to give your profile the cohesiveness you want. Whatever your strategy is, having a profile that displays a consistency within the photos will come across clean, cohesive, and stunning. Hilary Rushford, an expert at using Instagram to grow her business, shares in her training, “How to double your Instagram followers,” that it’s important to think of two aspects when you post a picture. The first is think how the picture looks as an individual photo, but also think how your profile will look when a potential customer clicks on your profile and sees all your photos. 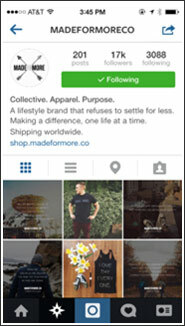 Check out how this Instagram profile: @madeformoreco. They use quotes over beautiful landscaped pictures to create a cohesive design. They also use a consist theme to communicate their message, they honor their brand, play within the Instagram nature and lead people to their website to create sales and profit. At the very core of Instagram is the opportunity to be an artist, expressing the creative potential within. Being original is one of the key most important aspects of making your photos stand out. If you are going to use Instagram for your brand, you need to adhere to the community of this social network. Reposting photos or using someone else’s photo isn’t going to cut it. Whether you are creating your own photos or hiring a professional, the important part is to make it original and personal to your brand. 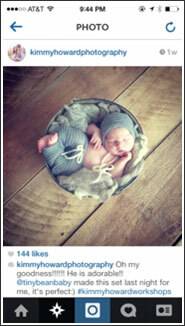 Instagram has strict guidelines about using other’s photos without credit too. Avoid getting in trouble and find a strategy to create original content, but feel free to get creative. One brand that did this so well was @unlockhope, a non-profit selling t-shirts to help support women in Uganda. They ask their followers to post photos of themselves, tag them in, and they choose a winner each week to win a free t-shirt. They are using their followers to provide the models, and photos they need, while also creating sales and and exposure in the process without spamming. Instacollage – Offers boarders, multi – picture frames, filters, and text. Free. Afterlight – Editing capabilities, filters and text. Price: $.99. Studio – Lots of fun watermarks, editing, and photo sizing options. Free. Using simple tools can really help make your photos shine. Although it’s important to note to not to let the apps distract you from your brand and goal. Remember, that you want your photos to have a consistent flow and look to them. Less is more when it comes to Instagram. Simplicity can help you create a powerful Instagram. If you are adding in too much, it can look messy and distract from your message. To write a great caption, there are a few things to keep in mind: Know your audience, don’t go too long, and have fun with it. Find great quotes, get witty, and enjoy. Instagram is a personal sharing site, and allow your followers to get to know your brand at a personal level. Instagram can be overwhelming when you are not a professional photographer. Knowing these key aspects can help you create Instagram pictures like a pro. Let us know any tips and tricks you have that help you make the best Instagram. We’d love to see your best or favorite Instagram.